If Company A wants to add equipment to the poles, it still has to go through an attachment application process. Once approved, the owner of the pole (let's call them, PoleCo) can then require Company A to use specific contractors. If Company A rearranges or alters equipment that belongs to PoleCo or some other company that may have equipment on the pole, then they have to notify the owner of the equipment within 30 days. The company whose equipment has been altered, has another 30 days to conduct a field inspection with PoleCo. If the pole requires complex work, then every company already on the pole gets 30 days notice to move their equipment. If those companies do not comply after 30 days, then Company A can perform the complex make-ready work. If there are any errors or problems from Company A's make-ready work, the companies already on the pole can recoup expenses. "NES is dedicated and cooperative towards finding a resolution that will accommodate the efficient and effective deployment of broadband services that promote customer choice and competition and improve the lives of the citizens of Nashville." Nashville Mayor Megan Barry has remained neutral on the policy, but has encouraged NES and the tech giants to reach a mutually beneficial solution for the good of the community. If the councilmembers approve the ordinance a final time, it will go to her desk for a signature. AT&T may be preparing for a lawsuit against Nashville if this is the case. They already have an ongoing legal fight in Louisville, Kentucky, over OTMR. AT&T argues that the ordinance change would conflict with their contracts with NES and the union. 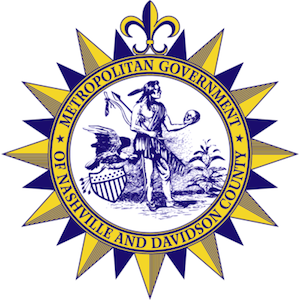 The Nashville Metro Council Attorney Mike Jameson analyzed the ordinance for the Council and determined that Nashville clearly has the power to regulate the NES’s utility poles, but perhaps not the privately owned utility poles. Comcast, meanwhile, has claimed that the NES’s attachment application process is a source of delay (i.e. that Google Fiber is blaming the wrong process). Comcast is experiencing 90-100 days of processing for their applications to NES. The contractual obligation between Comcast and NES is 45 days to process applications, but Comcast has also “exponentially” exceeded the number of poles that they can apply for in a month under that contract, according to NES official Nick Thompson in the Tennessean. Meanwhile, Councilmember Anthony Davis, a cosponsor of the OTMR ordinance also told The Tennessean that Google Fiber is not experiencing the permitting delays because it has already worked out a contract with NES. "This is an extremely big step forward, an extremely big net positive for Nashville, for internet competition. … It increases competition, increases telecom and Internet investment for [us] as a city and our citizens as a whole." Photo of utility workers courtesy of FEMA through a Creative Commons license.